Magnificent Classic Steinway Model B, just back from the rebuilders, new Bolduc pin block, new pins and mapes strings, new Bolduc Alaskan sitka spruce soundboard, new keytops, wippens and hammers recently replaced work done by former Steinway Craftsmen. Action just regulated and voiced to world class level. Piano just refinished hand rubbed satin finish. Circa 1900. Beyond sublime tone and action response. This one a very special instrument for the discerning pianist. Warranty Free LI/NYC delivery. All else continental USA only $475. for delivery and set up in your living room. Questions call Sonny Direct 631 475-8046. 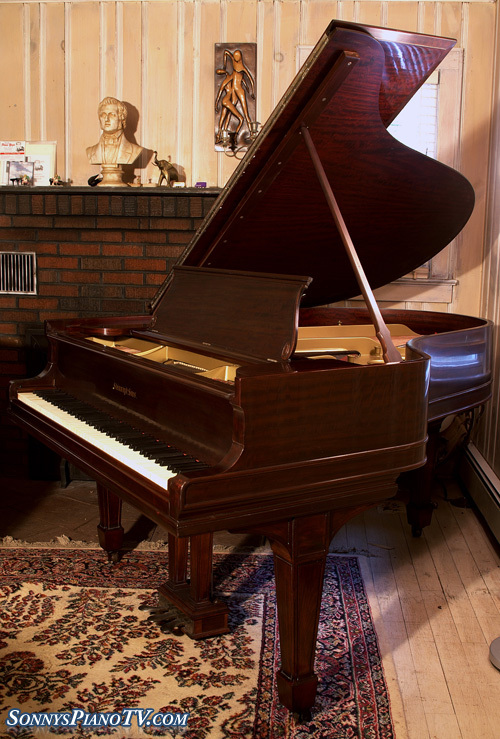 Elegant “Le Petite” Baby Grand, Ebony, rebuilt about 10-15 years ago, new strings, hammers, pins, dampers, new keytops, repainted plate, action just regulated, hammers voiced and new French Polish Finish applied. Ready to go, economical both money and size wise. 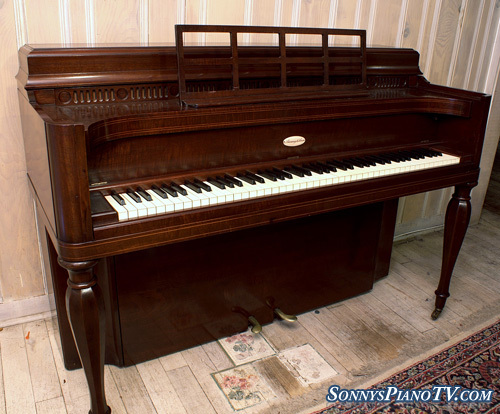 American hand crafted piano circa 1920. Questions Call Sonny Direct at 631 475-8046. Warranty. Local LI/NYC Delivery only! No out of state shipping on this piano. 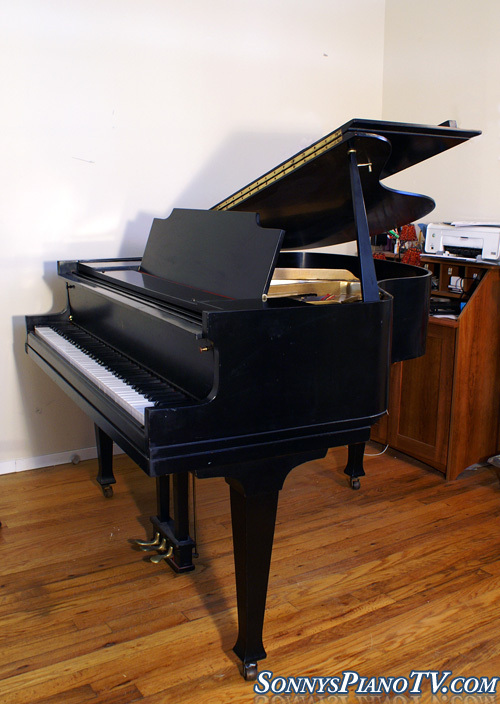 Yamaha G2 Grand Piano Ebony, 5’7″ originally built in 1974. Rebuilt and refinished in 1995.Very little playing time since rebuild. Pristine, beautiful tone and action response. Warranty and Free LI/NYC delivery. All else continental USA only $475.for delivery and set up in customers living room. Questions call Sonny Direct at 631 475-8046.